Review: Asda Little Angels Bedtime Bath - Me, him, the dog and a baby! 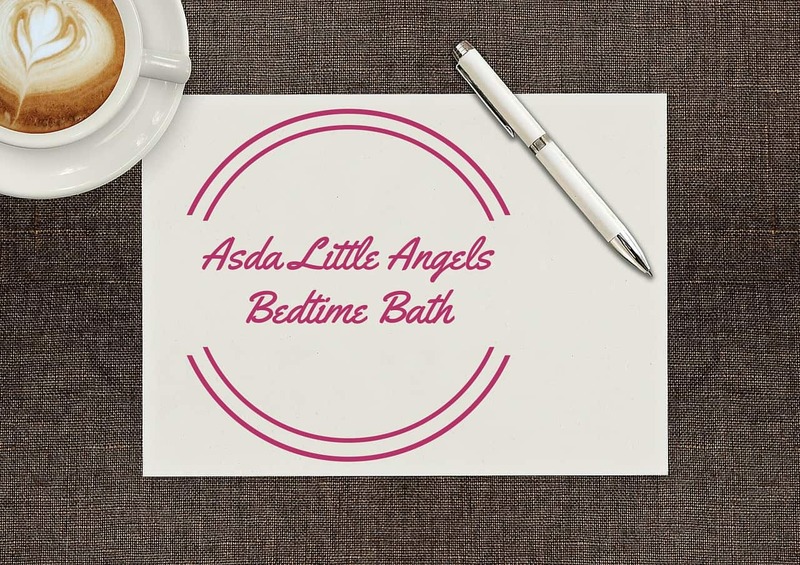 On a mission to find something just as good but cheaper than Johnson’s Bed Time Bath I was shopping online at Asda recently and decided to give their Asda Little Angels Bedtime Bath a go. I figured it couldn’t be so bad that I wouldn’t use it anyway so I bought a couple of bottles. 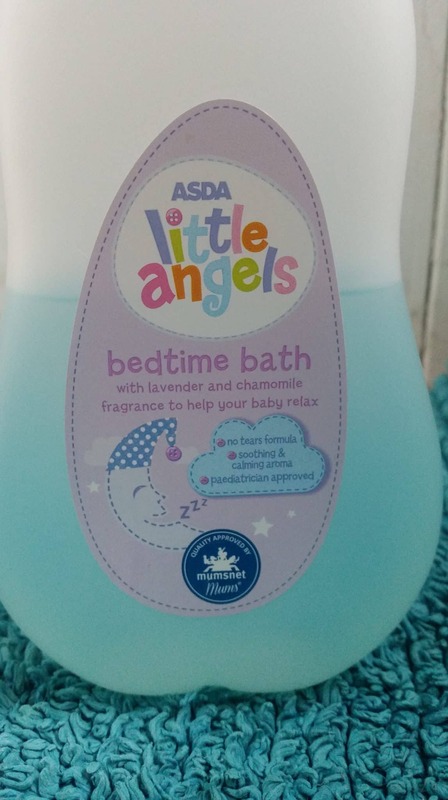 Asda Little Angels Bedtime Bath retails at £1 for a 500ml bottle. A Johnson’s 500ml bottle alternative costs about £3 so this one costs a third of the price! As this is an Asda product you can only get it in store or online. I actually really like the bottle for this product and normally I really don’t care what it looks like, especially for something this cheap. However, the curved, see through bottle is really nice and the Little Angels logo on the front is really bright and eye catching. I definitely would have looked at this had I seen it on a shelf in a shop rather than looking online for it specifically. As the bottle is see through, you can see that the liquid inside is a nice, soft blue colour. Most of the bed time products available on the market are purple in colour and I only really realised once I had a few different brands on my bathroom shelf so it was strange to see this one being a different colour! Using the bedtime bath is just like any regular bubble bath to be honest. It’s best to add some to warm water while it is running to help create more bubbles. I have found this particular bath product to be really thick and therefore, you need to use a fair amount of it to make a decent bubble bath and this is where value of money comes in. The liquid itself has a soft smell of lavender to it which is why this kind of thing is supposed to be relaxing at bath time. The lavender is supposed to be soothing for the child to help them to sleep if they go to bed after their bath. This bedtime bath product is really lovely and mild on the skin and Erin has had no reactions to it whatsoever. While I do like this product, it’s just not as good as the Johnson’s alternative. As you need to use a fair bit more of the liquid to create a decent amount of bubbles the value for money isn’t that good. I find that our 500ml bottle runs out quite quickly which means we’re buying it more often than Johnson’s. Although I’m not completely impressed I would still buy it again. I tend to only buy Johnson’s when it’s on offer because I hate paying the price and this would be cheaper to have in stock in the meantime.